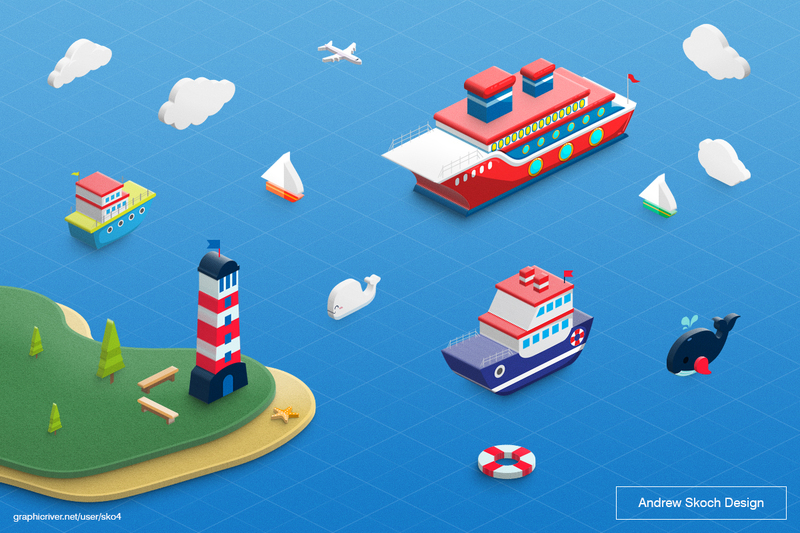 Create trendy 3D isometric illustrations from shapes, vectors, pixel layers, smart objects, group layers or texts. No 3D required! 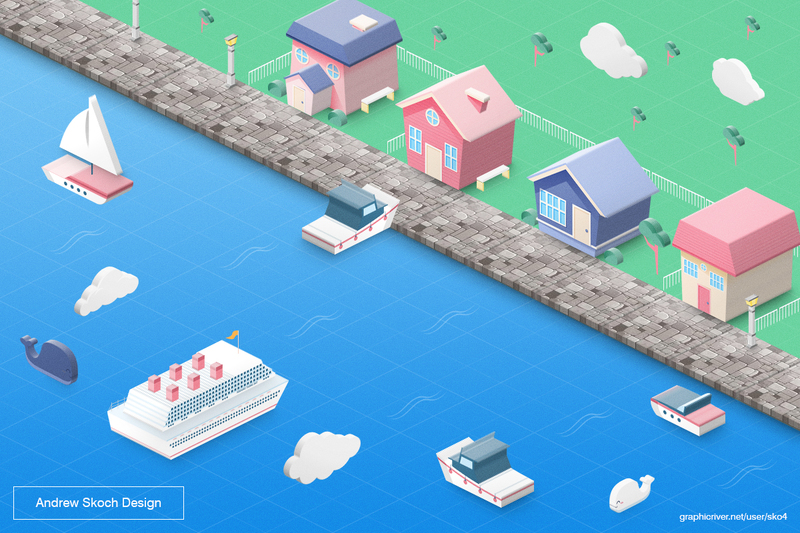 Make isometric 3D WITHOUT 3D engine! 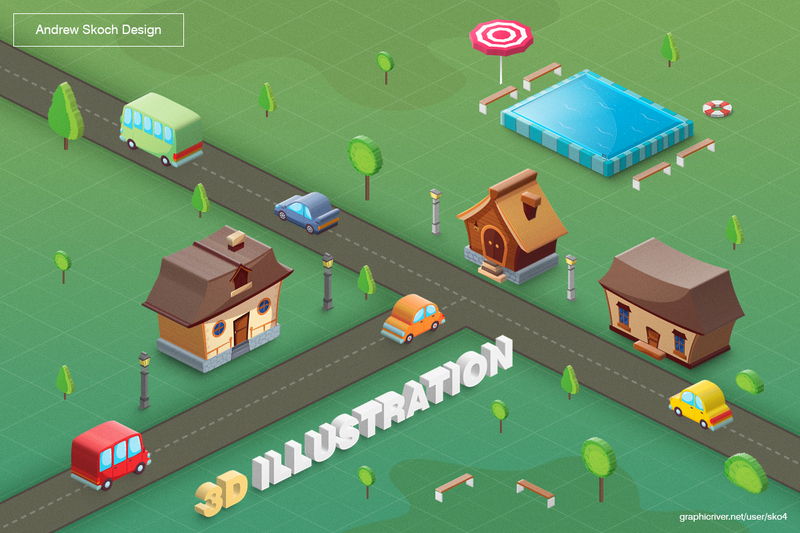 - Join the Isometric World) Creating isometric illustrations is now very easy. Create 3D objects in seconds! Just one click! 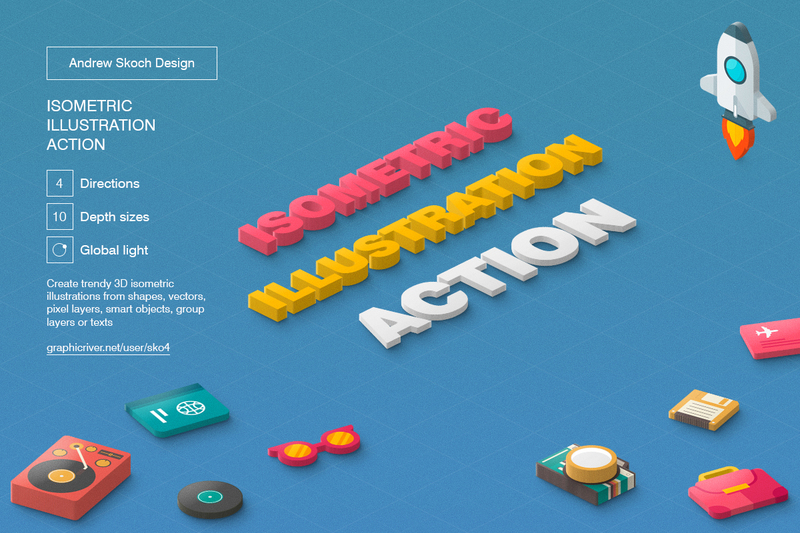 Collect all the elements in one PSD and apply the action to each. It’s very fast!